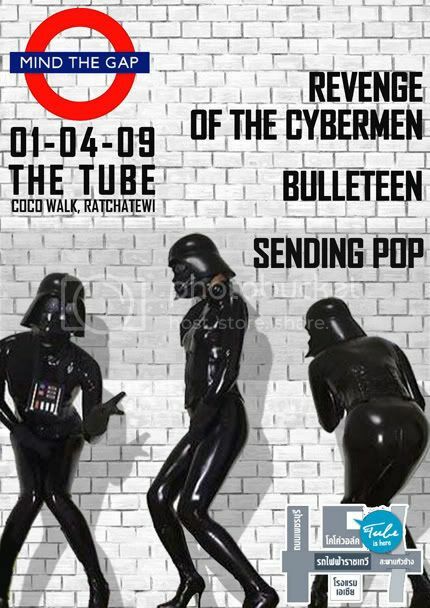 Revenge of the Cybermen return to The Tube after their stunning set supporting Battles at Club Culture. Bulleteen also come back to rock it again, their sound is very Manic Street Preachers meets Muse. Finally we have Sending Pop who make their Mind The Gap debut at The Tube... real pop/rock sound!